If we aren't going to fight to win, don't waste our efforts. After cogitating, ruminating, and meditating over the question for longer than many entire wars, Barack Obama has finally decided what to do about Afghanistan: A few more troops for now, then, everybody out in 18 months. It would be difficult to imagine a "plan" more finely calculated to offend everybody on all sides of the political spectrum. To the left, how dare the president commit one single more soldier to a faraway place of which we know nothing and care less? To the right, how dare Obama tell our enemies, in advance, how long they need to hang on before we plan to leave the place to them? And to the vastness of middle America, why does it take almost a whole year to decide to throw in a little of everything? The left shouldn't be surprised: during the campaign, Obama very plainly argued that Afghanistan was the "good war" that we ought to be fighting, in contrast with Bush's misbegotten adventure in Iraq. It's vaguely amusing to see Michael Moore's shock that President Obama might actually keep one of his campaign promises - hey, it might even be habit-forming! But - and it pains us to say this - Michael Moore is right for once in his life. We have no business sending more troops to Afghanistan under Barack Obama's plan. America didn't like to fight wars; but when we found ourselves in one anyway, we gave it everything we had. George Washington squeezed every soldier and weapon he could get out of the Continental Congress; during the Barbary Wars, Americans cried "Millions for defense, but not one cent for tribute." The Civil War was the world's first "total war" on both sides, and of course both World Wars mobilized every resource our nation could command to defeat the enemy as quickly and thoroughly as humanly possible. Then came the Korean War. Gen. Douglas MacArthur quickly discovered that we were not merely fighting the North Koreans; the true enemy was their Red Chinese supporters. 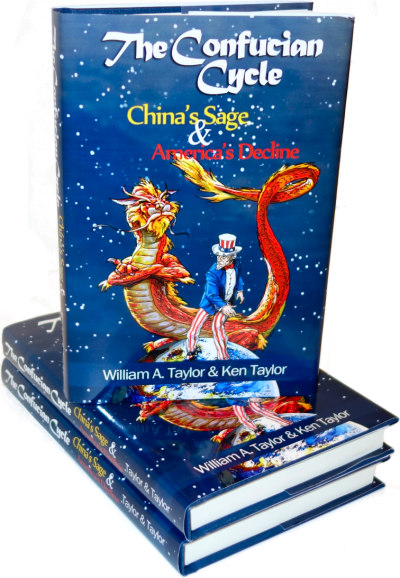 However, President Truman was not willing to risk either a nuclear war or a land war with China or the Soviet Union; he forbade MacArthur from attacking the Chinese supporting bases, and ultimately sacked him when he wouldn't lay off the Chinese. Result: no nuclear war (good), but the fighting stopped pretty much the same way it began, with a free South Korea and a Communist North. Technically, the Korean War never ended; major combat was suspended under an armistice, but no final peace treaty has been signed to this day. What did our troops' lives and tax dollars achieve? Vietnam was the same only more so. Again, we weren't willing to fight the Chinese and Russian puppetmasters, just their Vietnamese proxies, and even there our soldiers were restricted from WWII-style total war. Eventually, we got tired of getting nowhere and famously bailed in helicopters from the roof of our embassy. The loser is the one who decides when the war ends, and that's what President Ford and the Congress decided to be. By decreeing a timetable for the end of our war in Afghanistan, Barack Obama has publicly stated that America intends to lose that war too. That is his decision to make; after all, he is the Commander in Chief, and we do indeed need to pick and choose where we fight. We can't solve all the world's ills, or remove all the world's evil tyrants. And generals have always wanted more troops; during the Civil War, Gen. McClellan kept growing his armies but wouldn't actually fight, until Lincoln got fed up and replaced him. That's not the problem in Afghanistan: Gen. McChrystal is more than willing to bring the fight to the enemy, and has a good use for every last soldier he's requested. The problem is here at home: if politically we aren't willing to do whatever it takes to defeat the enemy and win, why are we even there at all? What is "winning" in Afghanistan, anyway? For that matter, who is the enemy? In World War II, we knew exactly who and what the enemy was, why we were fighting, and what victory would look like. We were fighting Nazi fascism and Japanese militarism; we were fighting to defend freedom and liberty from oppressive racist tyranny; and victory would be achieved when there were no dictators petty or otherwise in positions of authority, from the heights of government to the lowest policeman on the Berlin beat. Major combat operations ended in 1945, but we ran Germany and Japan until the last dregs of fascism were squeezed out of their culture. By degrees, over decades, we returned sovereignty and authority to a new generation of Germans and Japanese who had been raised to hate the false gods their fathers worshiped. What would have happened had we declared victory when Hitler committed suicide and gone home? One of two things: either Stalin would have conquered Europe for himself, or Goering and the rest of the Nazi goons would have cut a deal, nursed their wounds, and maintained Germany as a Nazi state. Either way, there would not be a peaceful, prosperous, democratic mainland Europe today. In Afghanistan, the enemy is called the "Taliban", but that's like calling our enemy in Germany the SS. Sure, the SS was our enemy and we needed to kill them; but the real fight was to root Nazism out of the hearts and minds of the German people. In Afghanistan, we drove the Taliban into the hills, where they regrouped and came back out again. Meanwhile, the Afghan man-in-the-street still worships the same Allah that the Taliban do, honors the same mullahs, and respects the same evil Koranic commands. How is it that we called Nazism an evil ideology and destroyed it utterly, but we refuse to do the same with Islamism just because it calls itself a religion? Our enemies are not confined to Afghanistan; they don't wear Afghani uniforms; and they don't have a Leader whom we can convince to surrender. In Afghanistan, in Pakistan, in Syria, Libya, and Turkey, Islamists are growing in political strength and taking over governments, nations, and armies. In Germany, in France, in Switzerland, in London, in Ann Arbor, radical imams are establishing beachheads and converting the gullible to the Cause, attacking us at home while we do nothing. And President Obama wants to send another 30,000 troops to sit in Afghan sands for the next 18 months, at which time they'll come right home, or what's left of them anyway, having accomplished nothing in particular because their Commander-in-Chief has no idea what exactly they ought to do. Afghanistan is an enormous country, covering about 250,000 square miles of exceedingly rugged and inhospitable terrain; even after Obama's new "surge", we will only have 100,000 soldiers there. Can each individual soldier effectively occupy 2.5 square miles? In contrast, all of Germany is only 130,000 square miles, and we stationed hundreds of thousands of Allied troops there for years. It's obvious that we aren't going to put in the effort required to turn Afghanistan into a stable, civilized, non-Islamic western democracy. That being the case, it's not possible for us to win in any effective way - because we have decided that it isn't worth it. Rather than flounder around to no good end, far better just to throw in the towel now on our own schedule and bring every last soldier home ASAP. Since we won't fight the enemy abroad, or even name him, we will surely be fighting him at home shortly. And for that, we'll need every loyal soldier we can get. "It would be difficult to imagine a "plan" more finely calculated to offend everybody on all sides of the political spectrum"
True. However, by definition, if it offends everyone, it also must please everyone. You could take the items that offend the right - time table for withdrawal - and say that those please the left. That was probably Obama's plan: please everyone a little bit. What he forgot was that human nature is such that people focus on what they DON'T like more than what they do. Dead wrong. We don't have to civilize the nation in order to win. That's a fool's errand. All we have to do drop a few nuclear bombs, wiping out as many caves and foothills as possible, to teach the Taliban (and everyone else in the Middle East for that matter) that the Great Satan is way too badass too mess with. If they FEARED the West enough to realize that their families, friends and livestock would be vaporized every time they attempted terrorism against us, they would stop. This whole notion that "wars can't be won in Afghanistan" is bull. Stop worrying about civilizing them, stop trying to de-program Islam out of them and just wipe them out when they misbehave. Depends on what you think the war, and winning, actually is. We do need to civilize Islam if there is to be some semblance of peace in the world, and that has to start somewhere. I dunno if throwing nukes around is going to help, a lot of the nutjobs seem to positively welcome a martyr's death. We're thinking about this the wrong way. Afghanistan is irrelevant and inconsequential in itself; it is just one front in a far wider war. I can't think of any civilization that successfully conquered and controlled large territories that attempted to change the culture of those territories. The Romans didn't much care what people did as long as they payed homage to Rome. To be a Mongol all one had to do was join the Golden Horde. The Ottoman Empire allowed Christians and Jews to rule themselves. Attempting to change a culture is futile. Japan and Germany were successfully rebuilt because the allied powers did not attempt to change the fundamental culture of those countries. The sword can keep cultures dormant. The troubles in the Balkans illustrate this. The soviet power could keep the cultural hate dormant but it could not defeat it. Forcing a culture to change is impossible. Jonyfries, I believe the Nazi's were pretty successful at conquering large territories and tried to change culture. It's great that we fight for a countries frredom when the government knowingly allows the production of poppy seeds for heroine production. go Afghans, you steal our money and our minds. Time to get the hell out of there. Did we not learn anything from Russia. Either get out or nuke Afghanistan and Iran, hell nuke the whole middle east for all i care. I would hardly call the Nazi's good at controlling their territories. Conquering is often the easy part. Holding on to those conquests is far more challenging. To hand over political control of Afghanistan or Iraq in one fell swoop was a terrible idea. We should have started with local governments while keeping a watchful eye out for corruption. Then we should have handed over regional government. Finally after the nations had shown they were capable of running regional governments without corruption we should have handed over control of the national government. The emotional fool who suggested dropping nuclear bombs to teach the Taliban himself is a caveman.Nowadays the world tried to restrict and if possible demolished the WMD with treaties and agreements among nations and you seggested that we use it. Yes, America and it western allies(NATO)spend some million of dollars helping to train afghan police/millitary and put back some girls to school and build few buildings for the govt but instead spend 100 times more the amount to destroy and occupy Afghanistan.That is how they look at the whole things.Their institutions,culture and the way they have lived for centuries was destroyed and these outsiders tried to apply a one size fits all democracy and a forced new a altogether a new culture onto them.Surely they cannot accept it in a short period of time time.It is a culture shock to them. 2..Bring the Taliban and Afghan peoples to the table and tell them to think a way they can rule their country without our interferance. 3..tell them that America is willing to sincerely rebuild Afghanistan.Not necessarily they must show pro America but as long as they dont cross us or being used by other elemens to cross us we will bring aids progressively. we will monitor from outside and advise them if any elements within Afganistan tried to terrorize america. We must win their hearts and minds and they will respesct us and get their trusts.From there on it is easy to discuss problems with diplomacy like Egypt now has become so pro America and also sometimes helps the Israel due to the aids they received. We can not leave Afghanistan now. Doing so would be a betrayal of the people that have worked with us. If we want people to be willing to work with us in the future we can not betray people now. What people in Afghanistan are working with us? The people of Afghanistan hide members of the Taliban in their homes and then tell our troops that they are no where in site. Then our troops get shot at by Taliban fighters, hidden in homes, as they walk off the property. These are the people we are fighting for? Fighting with? Please don't believe all the network news hype. If we left today most every person that has ran for an office would be killed. If we left to today any one who had been a contractor for us would be in danger. If you want anyone to work with you in the future you do not make promises and then break them. Your word must be your bond.